Lock in a great price for Vila Joya - rated 9.6 by recent guests. This hotel is perfect. 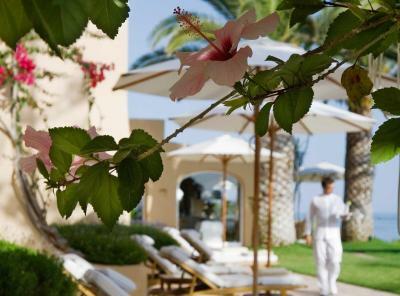 The setting, the rooms, the restaurant, the gardens, the pool, the beach, the staff...... Faultless. Everything was excellent and the service far beyond the expected. And we have a lot to compare with around the World. Thank you! the beds are top quality & very comfortable. the food & service is exceptional. in 1 word PARADISE. This is an amazing hotel in a fantastic location. Everything was superb....the staff, the grounds, the food, the view, the beach. We didn't want to leave! 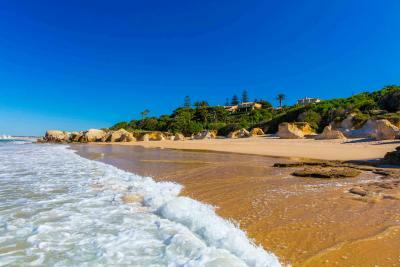 A little piece of tranquil heaven in the Algarve. 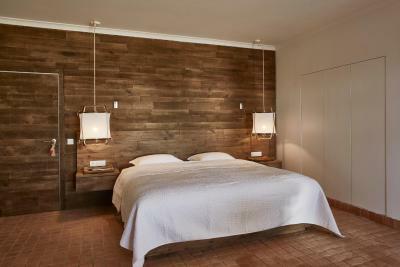 We always prefer small boutique hotels when travelling in Europe and Vila Joya far exceeded our needs and expectations. The amazing panoramic views looking out onto the exquisite gardens, the pool area, and onto the private beach below are simply breathtaking. From our arrival to departure the staff were so exceptional and nothing was too much trouble for them. 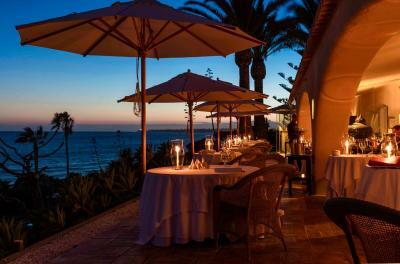 The Michelin two star restaurant there offers an amazing experience in a calm romantic setting. The Jung family has created a unique atmosphere at Vila Joya which is a showcase of good taste, elegance and calm......for us it truly was "Paradise". We liked the food which you enjoyed overlooking the sea. The restaurant is one of the best we have ever tried. If you are order room service the same high food standard is present. All rooms overlook the sea. The garden is calm and quite. Superb service. Every detail was professional and immaculate. This is a place where everything is absolutely perfect. The bed, and the croissants, and the staff, and the food, absolutely everything. The rooms are beautiful, bathroom are modern and super clean. The chef with his 2 stars Michelin is outstanding. Will go back anytime. We loved it. Beautiful set-up, room, breakfast, staff. Everything was perfect. Maybe more lighting for make-up!! We will definitely go back. 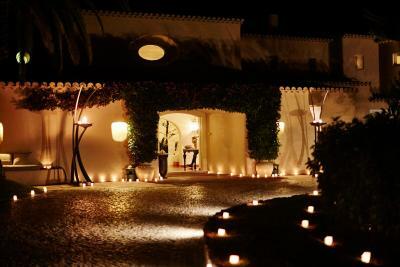 One of our top picks in Albufeira – and a guest favourite. 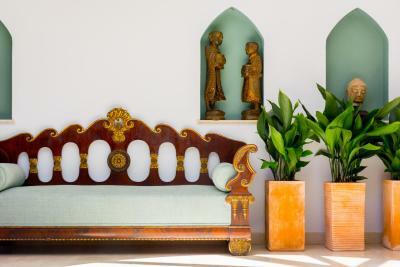 The luxurious guest rooms feature a Moorish-inspired design and offer balconies overlooking the coast. All rooms are air-conditioned and equipped with a cable TV, a minibar, and a CD/DVD player. Free WiFi is also available. 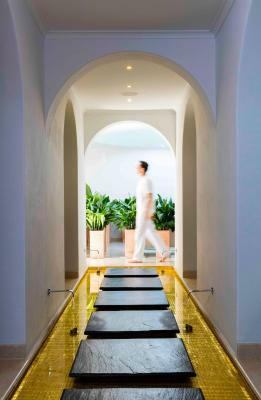 Vila Joya Spa offers various therapies and features a sauna, a steam bath and an outdoor hot tub. 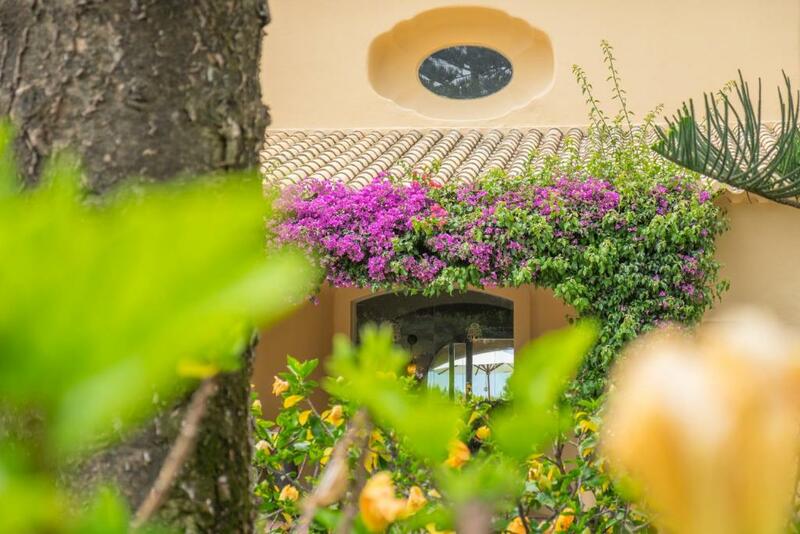 Guests of Vila Joya can also relax at the hotel’s garden or terrace and enjoy the landscape. 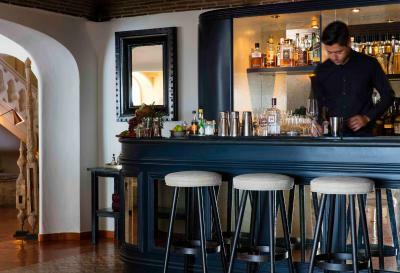 Vila Joya’s prestigious restaurant was ranked in San Pellegrino's World´s 50 Best Restaurants. 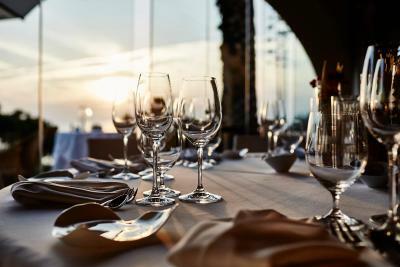 It proposes a set menu of Mediterranean seafood with high-quality French haute cuisine, using fresh local ingredients from the Algarve markets. 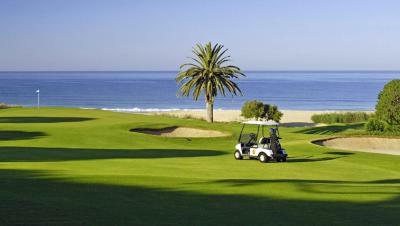 Hotel Vila Joya is located next to Praia de Galé beach and is less than 24.9 miles away from Faro Airport. A private limousine transfer, to and from the airport, is available for an extra fee. Free on-site parking is possible. 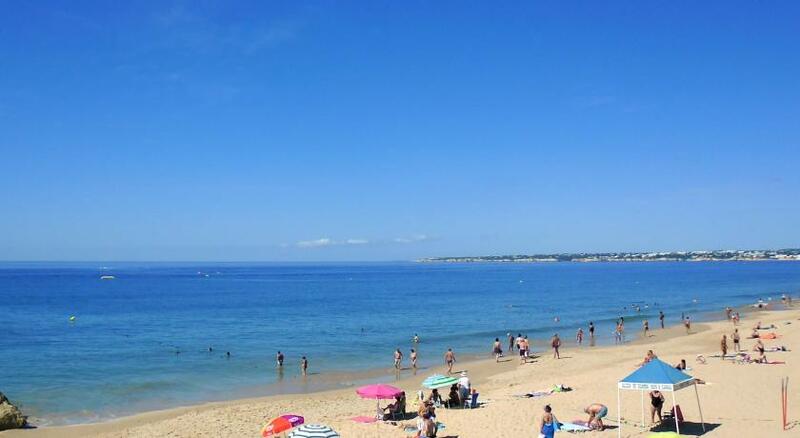 This property also has one of the best-rated locations in Albufeira! Guests are happier about it compared to other properties in the area. 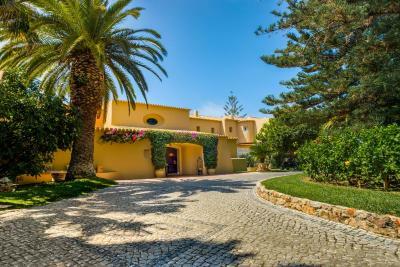 Vila Joya has been welcoming Booking.com guests since 22 Jun 2010. When would you like to stay at Vila Joya? The ground level rooms enjoy direct access to the garden. Rooms located on the first floor each come with a little balcony and seating area, and clients have spectacular views to the ocean. Each double room is individually decorated and every bathroom has traditional hand-painted Portuguese tiles. 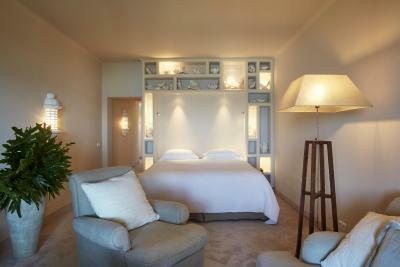 Royal Suite Joía is located on the first floor with magnificent views of the ocean from every room. The living room and bedroom are separate and both have direct access to large sun decks, one just in front of the bedroom, the other off the living room. This second sun deck has a private outdoor spa bath that enjoys sea views. Each terrace has a seating area and sunbeds. 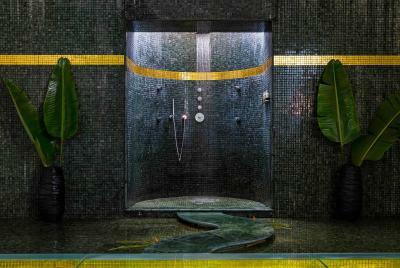 You will find a walk in bathroom, with a double bathtub and a separate shower. The slate sink features a wall-to-wall mirror. The décor is predominantly in neutrals, and includes some antiques. Royal Suite Joía can be directly interconnected with Junior Suite Maresia. Located either on the ground or first floor, all four rooms have either a furnished balcony or furnished terraces with sun beds and Ocean views. The bathrooms have typical Portuguese tiles. 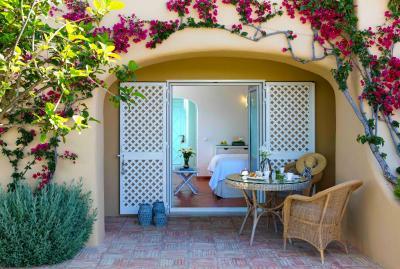 There are two ground level deluxe double rooms, each with a furnished terrace, outside seating area with sun beds and direct access to the garden. 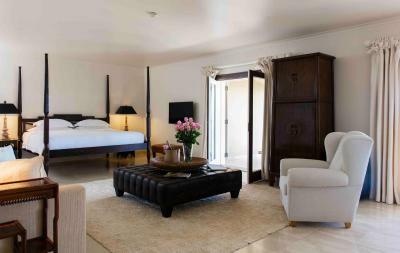 On the first floor there are also two deluxe double rooms, each with a furnished balcony with seating area and Ocean views. Each has its own particular style and every bathroom is uniquely decorated. All of rooms enjoy sea views. This suite is located on the ground floor and enjoys magnificent views of the ocean. The living room and bedroom are separate and have direct access to the garden. The suite also offers a large dressing room, a state-of-the-art double shower for two people, a separate bathroom with a bathtub. The décor is predominantly in neutral colours, and includes some antique pieces. This Master Royal Suite is located on the ground floor and comes with a private garden, heated swimming pool and a state-of-the-art outdoor shower. Inside there is a large living room with a dining area, work desk and a dressing room. The bedroom is modernly decorated with shades of white, beige and brown and contains antiques from around the world. The walk-in bathroom has a free standing bathtub overlooking the ocean, and an extra large shower with seating area and built in Turkish bath. The suite has views over the Atlantic Ocean and has direct access to the garden. This small double room comes with a garden view. Located on the first floor, the cosy double room is decorated in white and black colours. It can be used as a direct connecting room to one of the Deluxe Royal Suites. Please note that this is the only room without sea views, and it does not have a balcony or terrace. This suite has a balcony, DVD player and minibar. House rules Vila Joya takes special requests - add in the next step! One child from 3 to 6 years is charged EUR 85 per person per night in an extra bed. One child from 7 to 15 years is charged EUR 120 per person per night in an extra bed. One older child or adult is charged EUR 185 per person per night in an extra bed. Vila Joya accepts these cards and reserves the right to temporarily hold an amount prior to arrival. There is nothing we did not like. We were unsure if there was an alternative menu to the taster menus? As lovely as the food is, we went out for dinner twice, as the food was too much to digest every evening! We had the 3 course and the 6 course, which were magnificent, but we could hardly move after the 6 courses! Families with small children (whom misbehave). Property and facilities too small for them and disrupted pool side relaxing and dinner at 2 Michelin Star resturant. Great room, staff and food. Loved Restart Sea for super cool and casual atmosphere. There is nothing not to like at this hotel. Nothing except perhaps this is an expensive stay but worth it. Check in time is toooo late. The service and attention to detail are truly extraordinary! 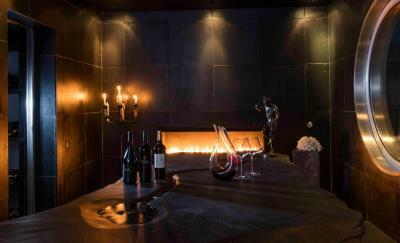 This beautiful boutique hotel is also home to a 2-star Michelin restaurant.